7th Annual Haverford Music Festival Announce Our Headliners! Presented by ACME Markets, the 7th Annual Haverford Music Festival (HMF), will be held on Saturday, September 9, 2017, from Noon until 9:30 p.m. It will present about 30 acts, representing various musical genres, performing on four stages near the intersection of Eagle & Darby Roads in Havertown. Area businesses and vendors will fill booths along Darby Road and Hathaway Lane. There will be food booths, a beer garden, children's activities and much more end-of-summer fun for the whole family. Admission is free; voluntary donations will be accepted at entrance points. 2017 on the large Oakmont Field Stage, will be Matthew Sweet, who has described his music as "power-pop-folk-rock-psychedelic-melodic-singer-songwriter-type stuff." 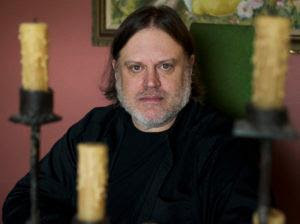 Multi-instrumentalist Matthew Sweet emerged in 1991 as the leading figure of the American power-pop revival, as his classic album, Girlfriend, became a word-of-mouth critical and commercial hit. Matthew Sweet's brand-new solo album,Tomorrow Forever, released on his own label, Honeycomb Hideout, will be released on June 16. 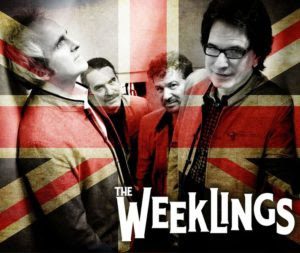 Topping the bill on HMF 2017's Darby Road Stage will be The Weeklings, performing original, early Beatles-inspired songs, plus tunes the Fab Four gave away to other artists instead of releasing themselves, with infectious passion and enthusiasm and an exceptionally high level of precision and authenticity. Members have all appeared and collaborated with many high-profile artists. Perhaps most familiar is Glen Burtnik (bass guitar and vocals), a platinum/gold record-awarded singer, songwriter and multi-instrumentalist, best known for his work with Styx, Electric Light Orchestra and John Waite. Burtnik has also starred in Beatlemania as Paul McCartney, opposite Marshall Crenshaw as John Lennon. "Little Elvis," from their Studio 2 album, was chosen as the "Coolest Song in the World" by Little Steven's Underground Garage. rhythm and harmonica with tunes ranging from heart-felt to socially conscious that will move both your heart and hips. On her third and latest album, Glory Junkies, Danielle, who's from the greater Boston area, blends the classic-rock vibe of The Rolling Stones and Janis Joplin with Danielle's signature lyrical ability to explore human nature at its best and worst. Bonnie Raitt fans will also be impressed. Preceding The Weeklings on the Darby Road Stage will be Nadjah Nicole, a finalist from season 9 of NBC's hit series The Voice. Nadjah is a Delaware native who was introduced to millions of viewers during her 10-week run on The Voice in 2015. She has a soothing, soulful and melodic vocal style that compliments her soulful-pop music. Along with her band she performs original music as well as popular favorites. Her impressive showing on The Voice indicated that Nadjah is destined for great success, and the Haverford Music Festival is honored to welcome her, along with our other headliners. We are also proud to be presenting more than 25 additional performers, representing a wide range of musical genres, (e.g., Jazz, Rock, Pop, Children's, Folk, Classical, Blues and Country - something to please everyone!). The full schedule can be viewed here. HMF is an all-volunteer run event! We need as much help as you can give, so please sign up at Sign-up Genius by clicking the link below!